China, in the early years of the Cultural Revolution. College student Chen Zhen (Feng Shaofeng, a good decade too old for the role) is sent from Beijing to the wilds of Inner Mongolia, where he becomes obsessed with the local wolves, going so far as to adopt a pup to raise as his own. It would take a director on the order of Nicholas Ray to make sense of this grab bag of landscapes and wannabe-mythopoeic themes, but the most Jean-Jacques Annaud can seem to do with the material—drawn from a popular autobiographical novel by academic Lü Jiamin—is to compose sun-dappled telephoto close-ups through swaying steppe grass, while late composer James Horner does the heavy lifting. The choice of 3-D as a shooting format may seem conceptually spot-on for a movie about the appeal of vast stretches of open land, but here it rarely does more than add a pop-up book foreground layer. The French-born Annaud has carved out an unusual niche for himself as a director of middlebrow international co-productions on subjects that are occasionally exotic or eclectic enough to sustain interest on their own, but for all the mythic heft he puts on his characters—be it the wayward cavemen of Quest For Fire or the dueling snipers of Enemy At The Gates—he’s never really managed the pure, image-making sweep needed to back it up. Wolf Totem’s drama is too dimly incidental and its characters are too unmotivated and paper-thin for either to register as anything more than a series of nested metaphors—for man and nature, the Han and the Mongols, the present and the nobly primitive past, and so on and so forth. (The title is the giveaway; perhaps Symbolic Animal was deemed too on-the-nose.) 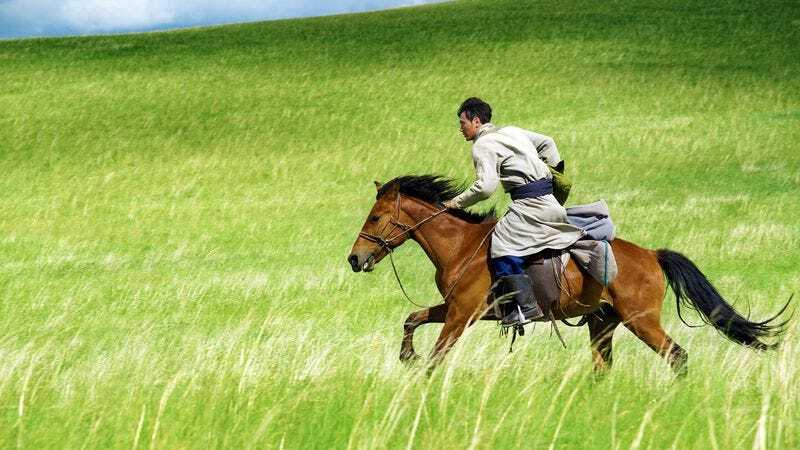 At the same time, the movie lacks the kind of animating vision that would make its big-screen National Geographic covers—riders racing across sloping landscapes, gazing animals, women smiling with cheeks raw and red from the incessant wind—into something more. All of this amounts to a movie without much of a reason to be, unless the viewer considers “don’t upset the balance of nature” and “modernity isn’t all that great” to be profound insights. (When it comes to the Cultural Revolution, this state-backed project is very tactful, for lack of a better word.) 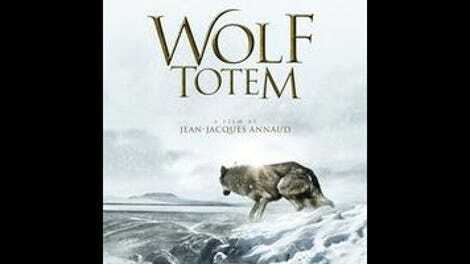 Without a center, all Wolf Totem can offer are mild audiovisual pleasures: Horner’s score, perhaps the best work of the late composer’s final decade; Basenzhabu’s performance as Bilig, the fatherly leader of the Mongolian shepherd community where Chen Zhen is relocated with his buddy Yang Ke (Shawn Dou); a snowstorm attack by the wolves, driven to hunger after one of the locals trades the location of their food store in exchange for a transistor radio; the movie’s endearing reliance on fuddy-duddy ’70s zoom-ins and dummy wolves. (The dummy designer is even given opening-credits billing.) It sets out to take the viewer on a journey, but ends up giving them little more than a pleasantly diverting sight-seeing tour. There are worse ways to spend two hours. Better ones, too.